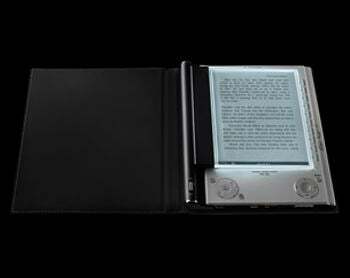 Fujitsu Launches Color E-Paper Terminal: Bad News for Kindle? Despite its attractive design and competitive price, the Sony Reader hasn’t gotten much attention recently. Its headline-grabbing competitor, the Amazon Kindle, has monopolized e-book news with its new Kindle 2 reader, an Oprah Winfrey endorsement, and an even a pesky intellectual property lawsuit from Discovery Communications. But this week’s announcement of a Google-Sony partnership shines the spotlight on Sony Reader in a big way. More than a half-million public domain books published before 1923 will be available for free to Reader customers via the Sony eBook store. The titles were digitized as part of the Google Book Search effort, and since they’re free of copyright entanglements, Google and Sony probably won’t encounter any legal challenges from the publishing industry. Does the pact give Sony Reader a competitive edge over Kindle? If you count the number of available titles, Sony certainly has the edge: about 600,000 vs. Kindle’s 245,000. Then again, the terms of the Google-Sony deal allow the search giant to strike a similar deal elsewhere. So why hasn’t Google already done so with Amazon? One can only speculate, but perhaps the “free” aspect of Google’s pitch wasn’t too appealing to Amazon, which intends to make a profit by selling $5 to $10 e-books to Kindle customers. Sony, on the other hand, may be more interesting in moving hardware. The Google deal is smart move for Sony, which needed to one-up Amazon in a big way. However, Sony has a lot of work ahead of it. Specifically, it needs to improve the Reader’s user experience. Unlike the Kindle, which downloads content wirelessly via the Sprint data network, the Reader uses a clunky, PC-centric interface that’s out-of-date and relatively hard to use. And what does Google get out of the deal? Initially, its free e-books won’t come with advertising, but I suspect that’s bound to change over time. Google Book Search costs money to maintain, and there’s bound to be pressure -- both internally and from shareholders -- to monetize the program. Imagine: Ads for Civil War memorabilia appear in the margins as you read The Red Badge of Courage. It could happen.